On the search for a bold and bright look? 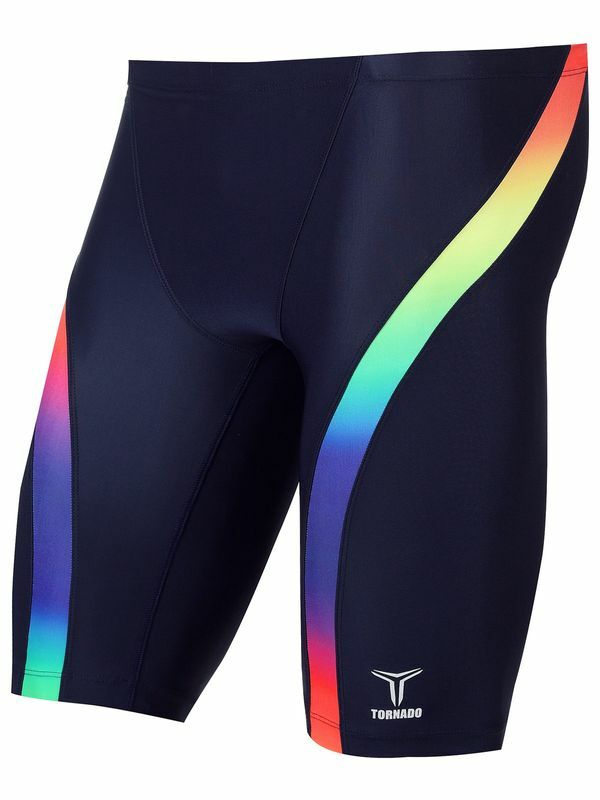 The vibrant Tornado Ray of Light Men’s Jammers is going to blow your swim cap straight off! This midnight black jammer features a bold ray wrapped around the legs in vibrant rainbow shades of ruby, tangerine, sunshine yellow, mint green, indigo, and violet, along with a bold seashell white Tornado logo at the leg. Made by our fave new up and coming Korean swimwear company, the bold and cool Tornado Ray of Light Men’s Jammers have all of the bells and whistles that you need to fly through the water distraction-free.